Beverley Hughes may have already paid the price for the visa scam highlighted by the National Audit Office, but Home Secretary David Blunkett is still under severe pressure on the issue. 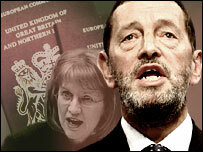 The damning report has confirmed meddling by Mr Blunkett's department into visa applications and, in doing so, has sparked a fresh controversy that he will find difficult to simply shrug off as old news. 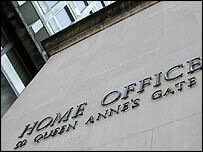 Some of the edge may have been taken off the affair by the parallel publication of the internal Home Office report insisting that, while there were abuses, ministers had not been made aware of them. But it also confirms the Tory claim that the whistleblower at the centre of the row - and who has since been punished for his actions - had a detailed conversations with Home Office officials about his concerns. Once again, ministers are said not to have been told of these detailed concerns. And this is where Mr Blunkett's problems mostly lie. He has accepted that the system failed and measures must be taken, and to some extent have already been taken, to tighten procedures. But he has persistently denied any suggestion he had been made aware of the scam or that he was aware applications were being routinely waved through against the advice of local officials. The suggestion throughout has been that the visa system had run out of control with ministers having no idea of what was going on. Damaging enough in itself. Or, worse for Mr Blunkett, that they knew precisely what was going on and there was an official, if tacit policy of waving through applicants to "fiddle" immigration figures. That second allegation has not been substantiated by either the NAO or the home office report. In fact NAO's earlier report said there was no evidence they could find that this was the case. The fact that "dodgy visas" were being approved led to the resignation of Ms Hughes after it was revealed that, despite her denials, she had been told about the concerns by a Labour whip a year previously. Once again, these conversations were apparently not passed on to Mr Blunkett. Still, the Tories have seized on the reports to claim their allegations that the system was in chaos have been confirmed by both reports. And Mr Blunkett has pretty much accepted that. 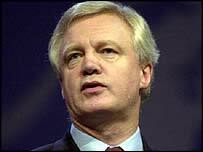 But Tory shadow home secretary David Davis has suggested there may well be other countries where similar abuses have been going on. If Mr Blunkett really knew nothing about these scams, how can he possibly say with any certainty there are no other similar abuses happening elsewhere. Underlying all these problems, which are difficult enough for Mr Blunkett, is the continuing suspicion that the home secretary may have misled MPs about the affair. Opposition spokesmen have previously said they find it hard to accept that the home secretary was never made aware of these concerns, despite local officials persistently raising them. But there has been no evidence in either of the two reports to substantiate such an allegation. If such a claim was ever proved it would be fatal for the home secretary. When this scandal first broke and Ms Hughes was forced to resign, the home secretary declared it was the worst day of his political life. He will be hoping things don't get even worse over the coming days.